To start, select "Company Profile"
1. 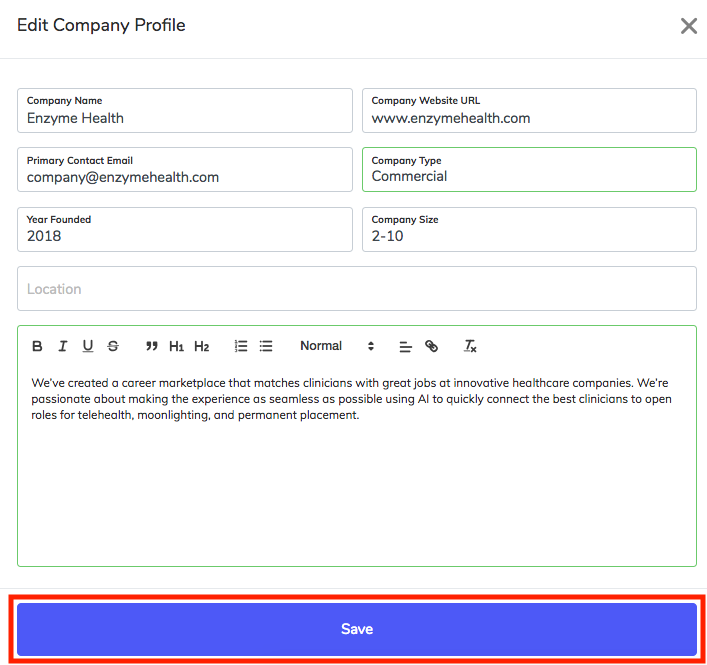 Select the "Edit Avatar" button to upload a company logo. We recommend adding an image at least 250 x 250 pixels if possible. 1. Select "Edit" in the About section. 2. Add Company Profile Details. Be sure to include all details for your company and then select Save! 4. Congratulations, you are done creating your Company's Profile!